It’s Bad in That Good Kind of Way! 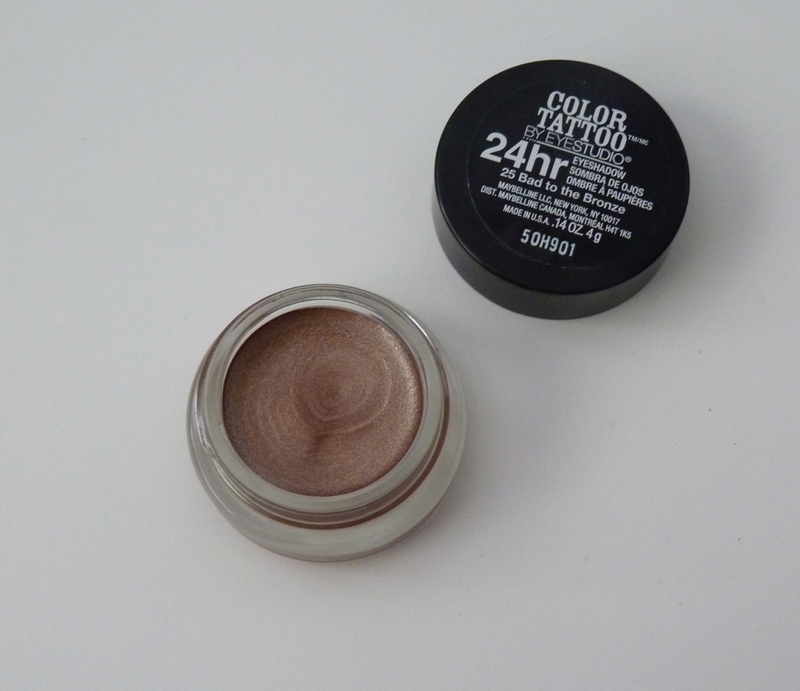 When it comes to cream eyeshadows, Maybelline has created some of the best on the market, and Maybelline Bad to the Bronze (#25) Color Tattoo 24 Hour Eyeshadow (≈ $6.99 for 0.14 oz./4 g.) is a favorite of mine. It is a medium, metallic bronze with multi-colored micro-shimmer. It has a smooth, creamy texture, opaque pigmentation; it applied evenly, and blended seamlessly. Once applied, Color Tattoos set quickly, but not so quickly that you cannot blend the edges, if you wish to. Once set, they do not budge! I did not test this for 24 hours (it’s never a good idea to wear makeup that long), but it was still going strong after 12 hours of wear-no fading or creasing (no eyeshadow primer). 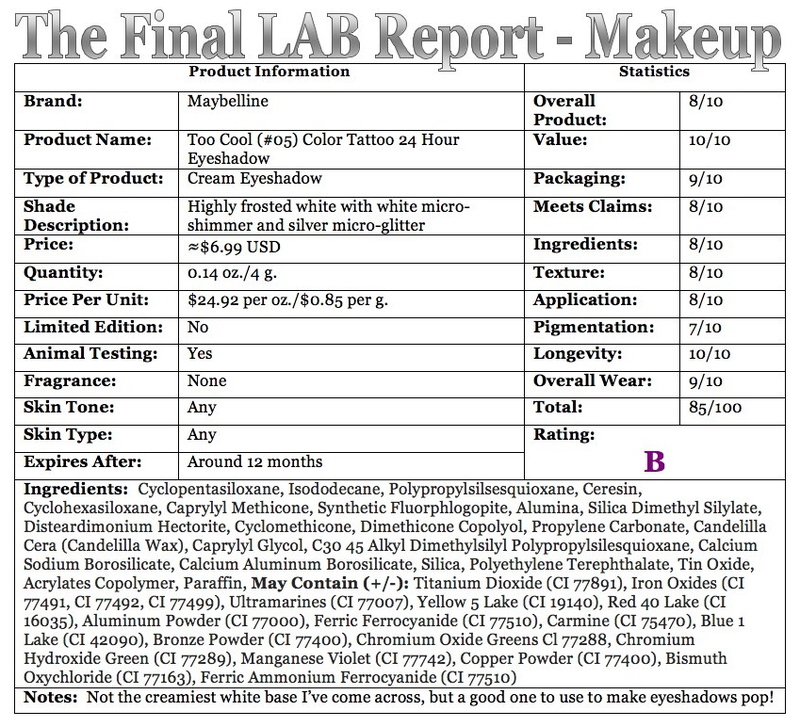 I found Bad to the Bronze to be water resistant and was best removed with eye makeup remover. At this price point you might expect Color Tattoos to come in plastic containers. However, they are housed in hefty, glass jars with plastic lids. 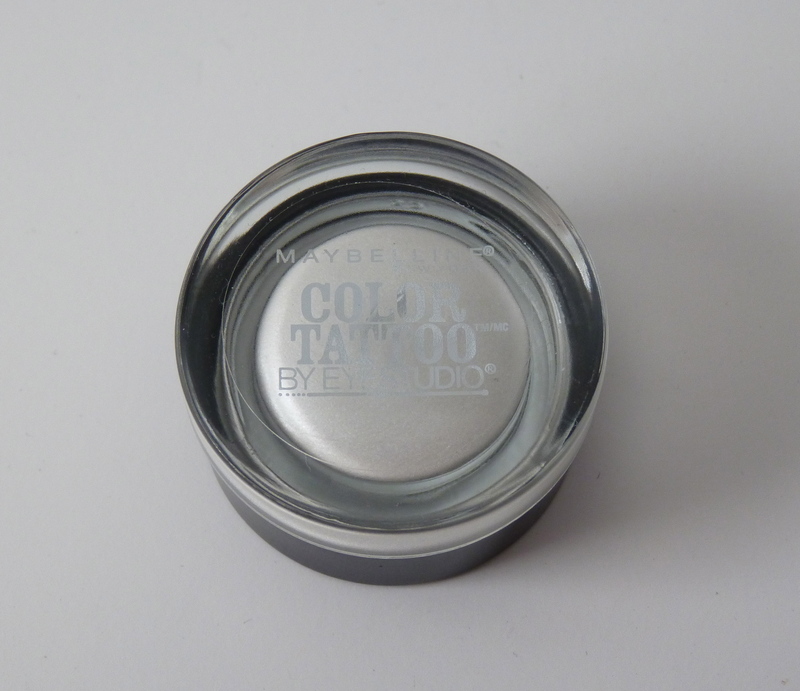 The only downside to their packaging is the sticker with the shade name is on the lid and not on the jar itself. 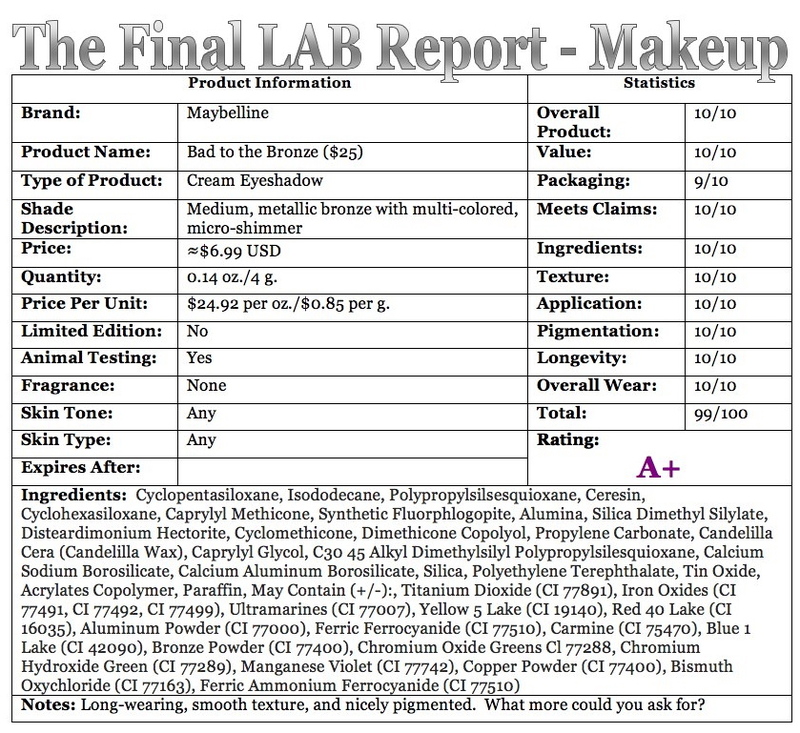 It is not a big issue, but, hey, it’s my job to point out ALL the pros and cons of any product! This is a great, long-wearing eyeshadow that can be used as a base to intensify other shadows, or can easily be used to add a wash of color across your lid.